UPDATED: Wed., Feb. 14, 2018, 4:48 p.m. 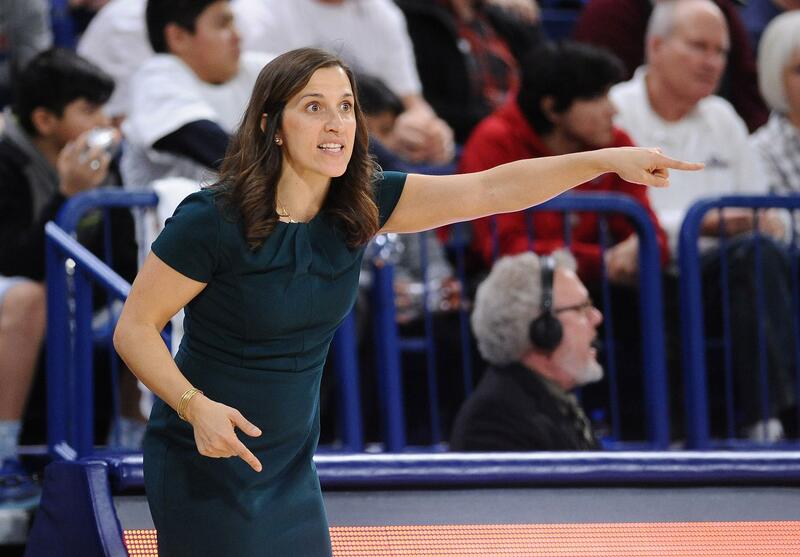 In more ways than one, the Gonzaga women are looking to rebound this week. Physically, emotionally and also on the glass, the Bulldogs are trying to move forward from their first West Coast Conference defeat of the year. The result, a 72-56 home loss to Saint Mary’s, cost the Zags not only a chance to celebrate a WCC title at home, but also ended a 15-game win streak that was their second longest under Fortier. Most teams would love to have those problems, but the bar is set a bit higher at GU. The Zags can clinch their 12th WCC crown in the last 13 years with a win Thursday night at Loyola Marymount. The Bulldogs (20-5 overall and 13-1 in the conference) are four games ahead of BYU and Saint Mary’s with four games to play. The bigger goal is an NCAA Tournament bid. Saturday’s loss pushed the Zags’ RPI down to 49, significantly harming their chances of earning an at-large berth shot should they falter at the WCC Tournament in Las Vegas. First things first: Fortier said her team needs to play better defense. “We’re a better rebounding team than that (GU was outboarded 47-21 by Saint Mary’s), but our biggest problem was our individual and team defense,” Fortier said. On paper at least, LMU will be a good test. The Lions (16-9, 8-6) are in the mix for a top-four finish and won five of their last seven games. But GU hasn’t lost to the Lions since 2009 – a 21-game streak that stands as its longest active one against a WCC program. Dating back to 2005, GU has won 28 out of the last 30 against LMU. LMU had one of the best nonconference seasons in the WCC, with wins over Arizona, Saint Louis, Long Beach State and Miami (Ohio). Gabby Green leads LMU with 13 points and 6.5 rebounds per game. She also has 72 steals on the season. Cheyanne Wallace joins her in double figures at 14.1 points per game. Bree Alford leads on the glass at 8.8 rebounds per game. On Saturday, the Zags are at Peppderdine (9-16, 5-9). GU has been a model of consistency on the road, winning nine of 10 games. Jill Barta (18.2 ppg), Chandler Smith (10.6), and Zykera Rice (10.5) are all averaging double figures on the road. The Zags are second in the WCC in points per game (73.2) and points per game allowed (59.1). They’re the only WCC team in the top three in both categories. Published: Feb. 14, 2018, 3:33 p.m. Updated: Feb. 14, 2018, 4:48 p.m.